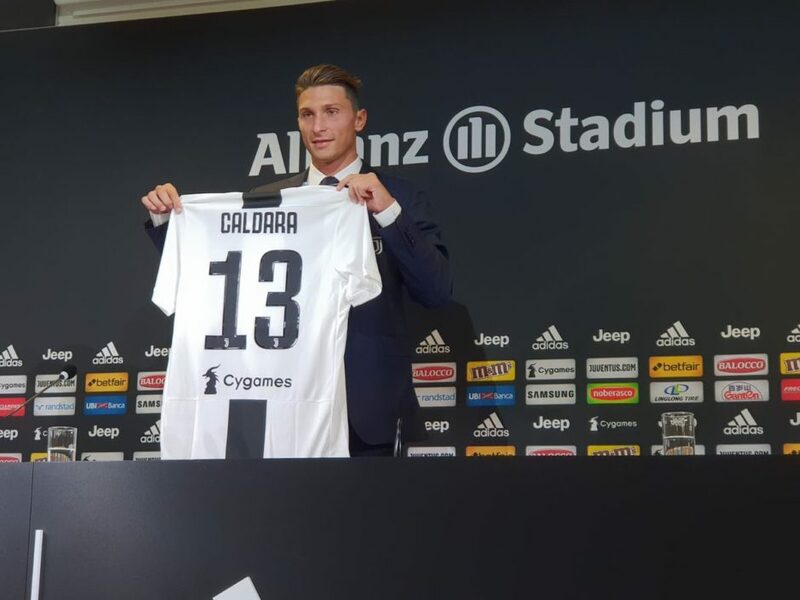 The young centre-back was signed 18 months ago and remained on loan at Atalanta before returning for his official presentation at Juventus. “It’s a very important time for me, I’m aware of it,” he told the press conference on Friday. “I know I’m at a great team, I’ll have to show why I deserve to be here every day. I’m also very excited and curious to see how Cristiano Ronaldo trains and understand how he can stay at these levels for so long. “Continassa? This is a training complex of the highest level, with perfect pitches and structure, as well as a great gym. “Mentality? It’s enough to see how Chiellini and Barzagli work to understand the winning mentality of this team. “I could’ve joined a year ago, but I always gave everything for the Atalanta shirt. I think Perin is right when he says that the Juve train passes only once in a lifetime. “My lawyer, family and I decided to wait, I wasn’t ready. It’s a big change, especially in terms of mentality, so it was the best choice for everyone. “Nesta and Chiellini? My idol has always been Nesta, that’s why I chose the No 13. Over the years, I’ve also learned to value Chiellini. I have his poster in the room. “Playing with him fills me with pride, and he’s already helping me a lot in training. There’s a lot of competition here, there are some good players in my position, but it makes me want to give more and improve myself. “I’m happy to be here, and I’ll need [that motivation] to get higher and higher. From Chiellini, I have to learn how he marks his man. He’s unique for that. “The objective is to play as much as possible. I’m aware that it’ll be complicated, but I’ll try to play for my chances and show I’m worthy of this jersey. “Family? Without them I wouldn’t be here. I’ve always been close to them during times of difficulty, so I thank them, as well as my girlfriend, who is always close to me. “I’m lucky to be surrounded by people who love me. Gasperini? He gave me so much in these two years, he told me not to be afraid and to show my qualities. “I’ll always be indebted to him. Without him I wouldn’t be here because he extracted from me something me that I didn’t even think I had. “The toughest player I’ve marked? It’s always been Mandzukic in terms of physicality and character. “Allegri? I understood him immediately because he’s won so much. He knows how to manage great players, he knows when to have a joke and when to be strict. “We haven’t said much until now, but he also agreed with my arrival. Most impressive opponent? Douglas Costa.